Transport avail: €40rtn from Dublin. Deposit of €35 required at the time of booking. 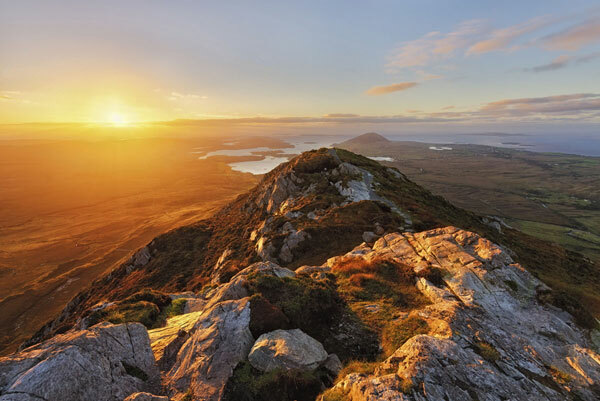 Guided walk on Croagh Patrick – Ireland’s holiest Peak. 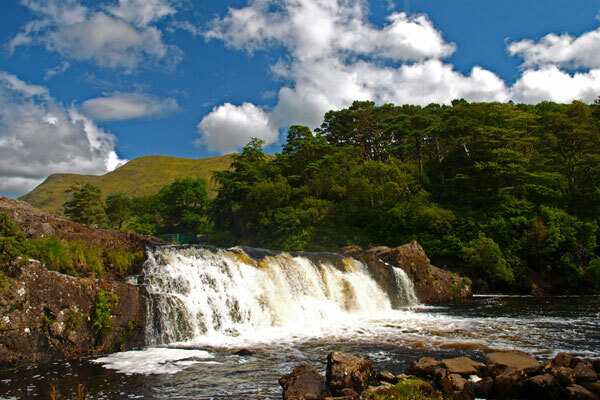 We will be staying at the Milltimes Hotel in Westport, a great small vibrant town in County Mayo which is also known for being Ireland’s activity hub from great walks to Greenway cycle tracks and water sports. 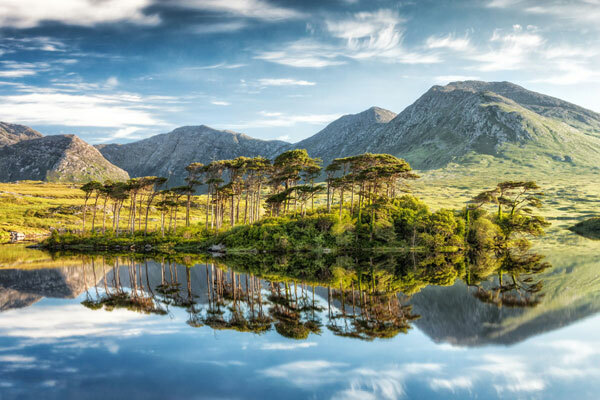 It is also close to Croagh Patrick, Ireland’s holiest mountain and where St Patrick banished all the snakes from Ireland. Westport is also a very lively town with many restaurants, cafes and bars that you can enjoy some great live music in. Croagh Patrick over looks Clew bay in Co. Mayo on the west coast of Ireland. It is from here that St. Patrick is said to have banished the snakes from Ireland in 441A.D. and spent 4The Greenway, Westport0 days and nights in prayer and fasting. The views across clew bay and it’s small islands are incredible and a real treat to enjoy from the summit. Make our way to Westport with a stop along the way. On arrival into Westport and after settling into our accommodation we will drive out to the start of our walk on Croagh Patrick. The Walk on Croagh Patrick although this is a pilgrimage walk do not be fooled to thinking that it is easy but the views across Clew Bay are worth the effort. The walk is quite steep in parts and will be walked at a pace to suit the group. Part of the trail is along scree and loose slate definitely not suitable for walking in bare feet actually I would highly recommend walking boots as the walk can be very hard on the ankles. 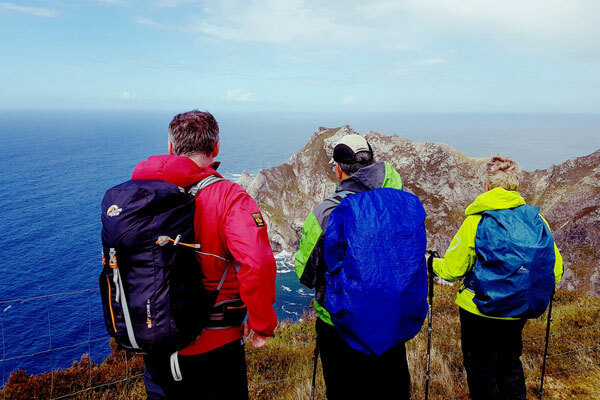 Stop for a bite to eat on the summit or on the way down and enjoy the views to the west of Ireland which can be stunning in the late evening with sun setting over the Atlantic Ocean. As we will be going up and down the same trail it is possible to just walk part way up and leave out the scree ascent if finding it difficult. Afterwards we will return to Westport to refresh and relax before dinner. There are many bars with live music in this small town. The distances for cyclists are: Achill/Westport 42 km, Mulranny/Westport 29 km., Newport/Westport 11km. You chose which length you wish to cycle and get off the bus at the appropriate place. If you have a gel saddle/padded cycling shorts, bring them. There are coffee shops/toilets on the route and most cycling companies say to cycle back to Westport as the gradients and wind favour that direction. 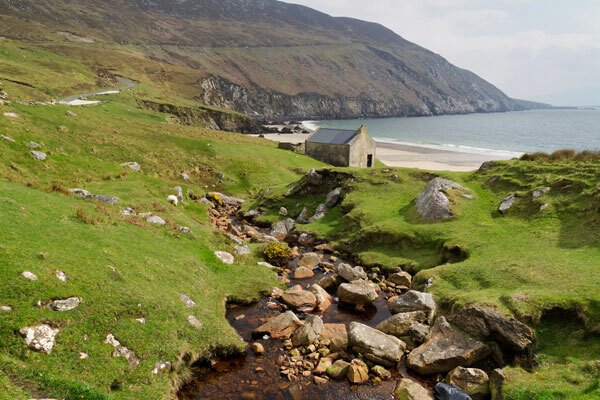 The walk on Achill Island will be at the very west of the Island at Keem Bay. This walk starts from the bay itself and brings us up towards an old lookout shelter. 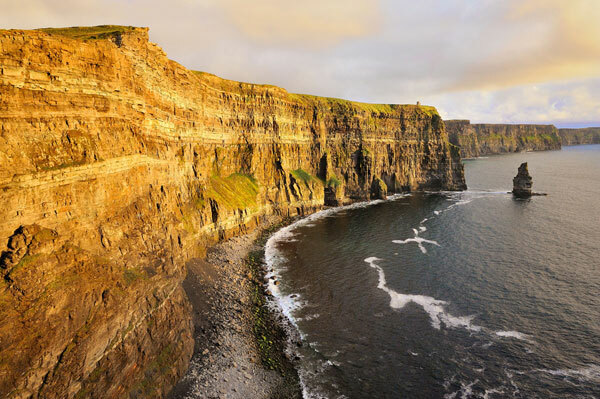 We will travel along the ridge of this hill with great views across the Cliffs and the Atlantic Ocean below us. It is a loop walk and we will be coming back through the valley. After returning to Westport we can relax and freshen up at our accommodation before dinner. Here is a short list of extras you will need to bring along for this walking weekend. N.B. 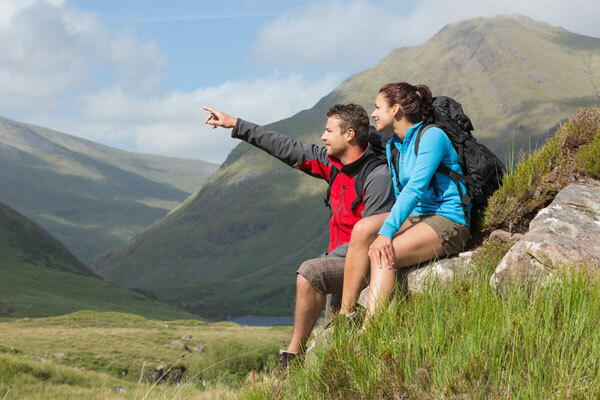 Ireland’s climate is of a moderate type and suited to walking all year round. Although it is quite changeable so starting a walk on a fine clear morning may not be the case for the afternoon. All the walks are taken at a pace to suit the group. The groups can have a mixed level of fitness and age usually. If the weather is to bad on a certain day to do the suggested walk, then the guide will suggest an alternative one. The Guide will have the final say on the day of the chosen walk for the safety of the group. • All bedrooms are en-suite with bath & shower, tea & coffee making facilities, iron & ironing board and hairdryer. • A comfortable lounge area, fine dining restaurant with seasonal & locally sourced food produce..
• There are live music sessions in Uncle Sam’s Café Bar every weekend. • There are free limited basement car parking, otherwise there are very reasonable pay and display parking adjacent to the hotel. Breakfasts are included and there is a wide selection to choose from including a Full Irish, fruit, cereals etc. Lunches for the walks: We will stop in the mornings at Delis or shops to get these.